Portfolio for Jira lets you share a read-only version of a roadmap as needed. This helps keep relevant stakeholders updated on the progress of business initiatives across your organization. 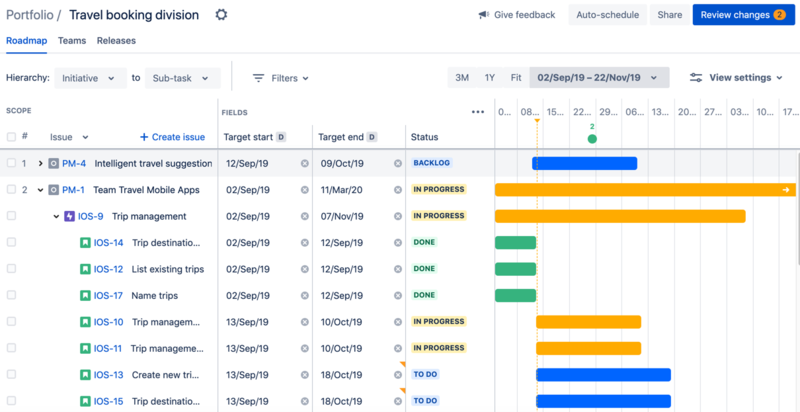 Note that plans contain dynamic data from your Jira instance. This means that the data you're sharing might not be the most updated from your Jira instance. Also, the shared roadmap will inherit the filters and settings that have been configured for the roadmap view. This includes the values applied for the hierarchy filters, filter settings, timeframe settings, view settings, and more. Anyone who then has the permission to view your plan can access the roadmap that you're sharing. This procedure will effectively disable clickjacking protection, which then allows you to successfully embed your roadmaps in HTML pages that support URL embedding. Above the timeline section of the plan, click Share. The 'Share roadmap' dialog will be displayed. Click Copy to copy the link for sharing. As an option, toggle the Embed URL option so your consumers can embed the roadmap as needed, then click Copy. Share the roadmap link to your stakeholders as needed.